WeChat by Tencent is the most popular and most used instant messaging app in the whole of China. First established about 7 years ago (in 2011), the impact the platform has on the average Chinese individual life has snowballed to a level where it has become one of the world largest standalone app, with over 1 billion monthly active users. This is actually because the app has grown beyond being a messaging app as the people of China use it for a lot of things, one of which is payments; InternChina calls WeChat the “bread and butter of daily life in China and an essential part of your stay”. In China, WeChat Wallet can be used to do a whole lot of things: buy coffee, purchase movie tickets, book a flight and hotel, buy train tickets, pay restaurants bills, shop online, hail a taxi, pay medical bills, send money to friends, colleagues, and family, and a whole lot more. 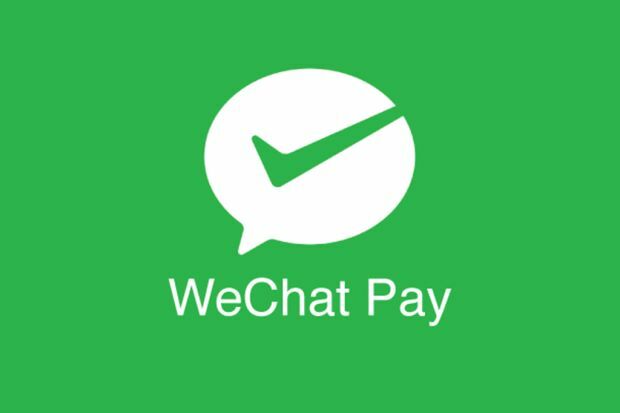 Basically, you can pay for almost anything in China using WeChat Pay (or WeChat Wallet). That being said, below is a detailed run-down of how you can set up WeChat Pay / Wallet on your phone to behind sending and receiving money and likewise making payments directly on WeChat. b. Click on “Wallet” to continue the setup. …and change the WeChat language to Chinese. This will activate the Wallet function. Once activated, you can proceed to change the language to English (or any preferred language). Alternatively, you can ask a friend who has the “Wallet” function in his WeChat app to send a small amount of digital cash to you. When you try to receive the money, you’d be prompted to add a Bank card, verify your identity, and set up Wallet. c. You’ll be prompted to provide some personal information, contact info, passport, region, passport number, card type, card details etc. Here, you’d want to ensure the name you provide is spelled correctly just as it is in your bank’s system. Else, you’d get an error message like the one below. d. A verification code will be sent to the provided phone number linked to your bank account. Input the code into the provided box and proceed. You have successfully linked your bank card to WeChat and should be able to use the Wallet function to pay bills, send and receive money, and shop henceforward. Initially, WeChat Wallet could only be used by individuals with a Chinese bank account [or local (Chinese) bank cards]. Foreigners and even Chinese locals with foreign bank cards found it difficult to link their banks to WeChat Wallet. 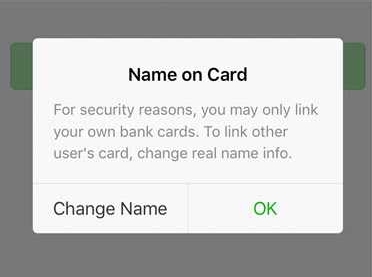 This year, WeChat added support for users wanting to link their foreign cards to WeChat Wallet. But there’s a catch. In fact, there two of them. First, you need to have a valid China ID. You can add only CREDIT CARDS from MasterCard, Visa, and JCB. Support for foreign debit cards isn’t available at the moment. If you check the two boxes above, follow the Steps 1 & 2 above to link your foreign cards. Got any questions? Drop them in the comments box below for prompt responses. We’d be happy to help.